Created a many-to-many relationship, movie >--< performer by adding a cast property in the Movie Model that references performer documents. Created routes and a controller for the performers data resource. Implemented functionality for creating performers. Populated the cast property with performer docs and displayed them with the movie on the movie's show view. Implemented functionality for adding performers to a movie's cast (if the don't already exist in the cast). Similar to what we did in the lesson, in this lab you'll be adding functionality to the mongoose-flights project you created in part 1 and have continued to work on in part 2 of the lab. 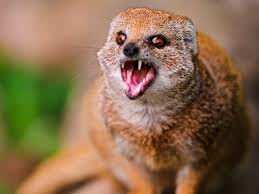 The final version of mongoose-flights, as a result of completing parts 1 - 3 of this lab, is a deliverable due on Monday. The goal of this lab is to practice referencing related data. You will add the ability to create tickets for a given flight in the mongoose-flight project. Styling is secondary, spend time on it only after the functionality has been implemented. Notice how we don't have to use an array to implement the 1:M relationship between Flight and Ticket. Instead, referencing the ObjectId of the flight in the flight property of a ticket enables the relationship. FYI, to implement this 1:M relationship, we could have put a tickets array on the Flight model instead, or in addition to the flight property on Ticket. Be aware however, that M:M relationships would always require the use of an array property. zero or one 0 thru 9 character. We'll cover more about regular expressions later in WDI, but this opportunity to preview them was too hard to pass up! Combined with the HTML pattern attribute, they provide an excellent way to perform client-side validation of inputs. Modify the show view for a flight to render, as you see fit (table, grid, etc. ), a list of tickets that have been created for that flight. Be sure to pass both flight & tickets to the flight's show view so that they can be rendered. Note that there's no reason to populate the flight property because in this case, you already have obtained the flight using findById. Also on the flight's show view, display a New Ticket link (perhaps styled to look like a button) that when clicked, shows the ticket's new view used to create a ticket for the flight. When the form is submitted, create the ticket on the server and redirect back to the flight's show view. If you use the "proper" route for the ticket form's action attribute, the ticketsCtrl.create action will have access to the _id of the flight the ticket is being created for. In the controller action, there will not be a flight property on the req.body object. You must add that property yourself before using req.body to create the ticket. Failure to do so will result in the ticket being created without a flight property that references the flight it belongs to - so if newly added tickets are not showing up with the flight, this is probably the cause. Create the UI that issues a request that matches that route. Define the route on the server and map it to a controller action. Code and export the controller action. res.render a view in the case of a GET request, or res.redirect if data was changed. Add a feature to delete a flight's ticket.